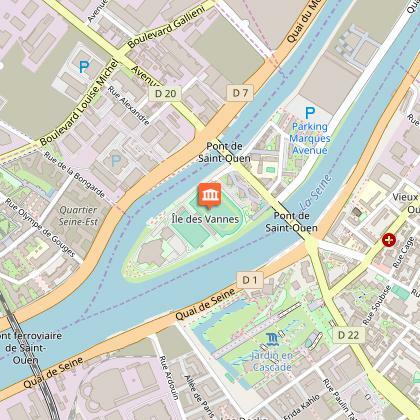 The itinerary allows you to discover the different sites for the JOP 2024 – Paris Olympic Games, passing by Saint-Ouen, l'Île des Vannes, Saint Denis, parc des sports de Marville, parc départemental Georges-Valbon. 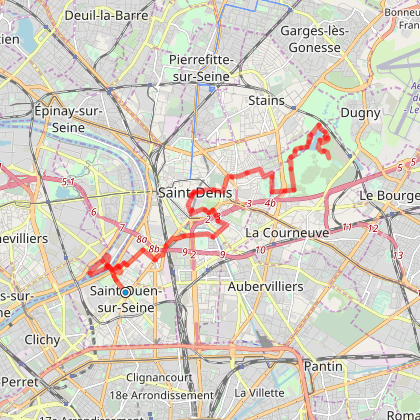 Take rue Albert Dhalenne, opposite the City Hall, possible to run 15km 500 from here, pass in front of the Château de Saint-Ouen. Cross over Saint-Ouen bridge, turn left onto quai Chatelier Prolongé, bypass the sports complex, the JOP site – site for Paris Olympic Games 2024. 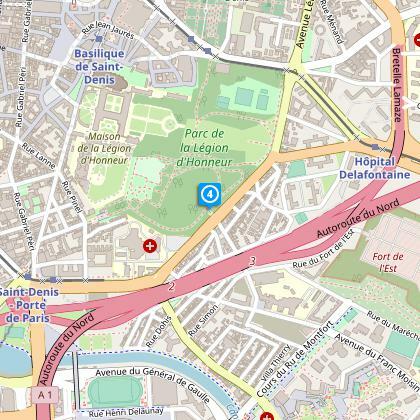 Turn right onto boulevard Marcel Paul, Saint-Ouen bridge , rue du Landy, take rue Saint-Denis on the left. 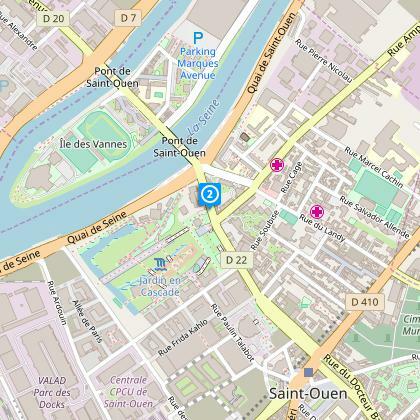 In the Vieux Saint-Ouen, pass in front of the church, great view point from the esplanade on the banks of the Seine. 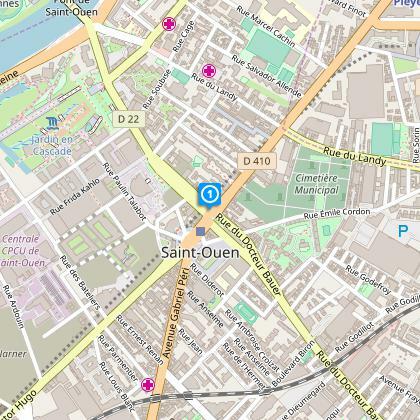 The olympic village will be set up on rue Ampère on your left. 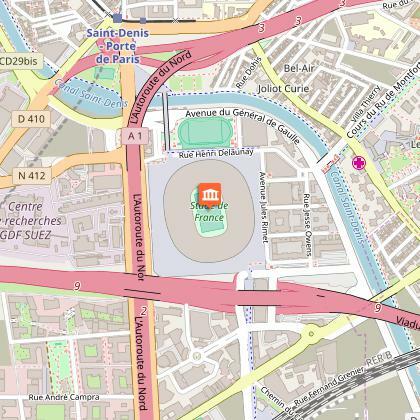 Site JOP 2024 – Paris Olympic Games. 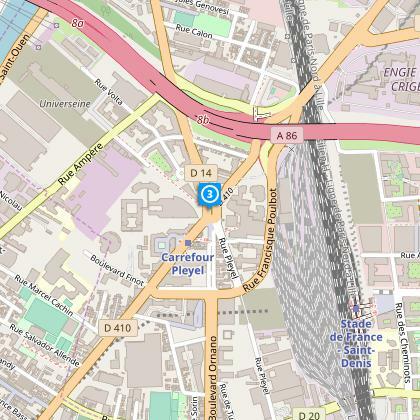 Pass in front of the Cité du Cinema, take the allée de Seine on the right to reach the Tour Pleyel – Pleyel Tower. 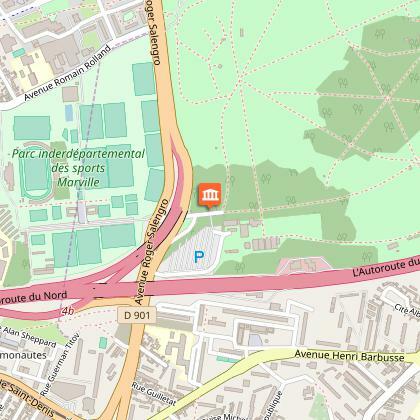 From the Basilica, depart here for 10 km, follow rue de Strasbourg, Bld Lénine and then la Levée de la Vieille Mer to arrive at Marville sports park. Site JOP 2024 – Site Paris Olympic Games 2024. Go into the park via the swimming pool entrance, go down the road turning left to arrive at the Montjoie entrance of Parc Georges-Valbon. From here, opposite the horse-riding centre, follow the markings for PR 5, pass by the waterfalls, the meadow, the Haricot pond, the pont des Iris (Bridge) and the belevedere to reach the village fair at the maison Glissant. Enjoy Festive and sportive activities with the challenge « Nordic walking » Nordic 93 ». 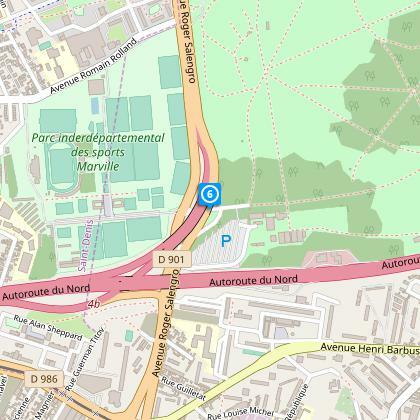 > RER B (station Courneuve - Aubervilliers) or Tram T1 (stop 6 roads). 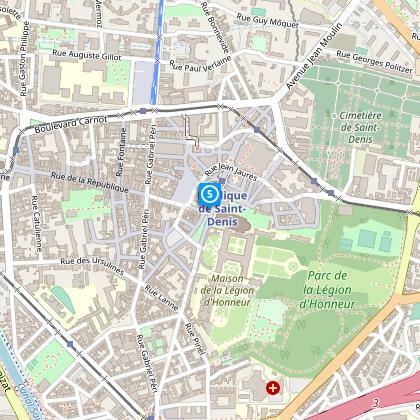 On September 30th only: Free shuttles from 13:30 to 20:00 betwwen the RER B, the T1 and the parc.